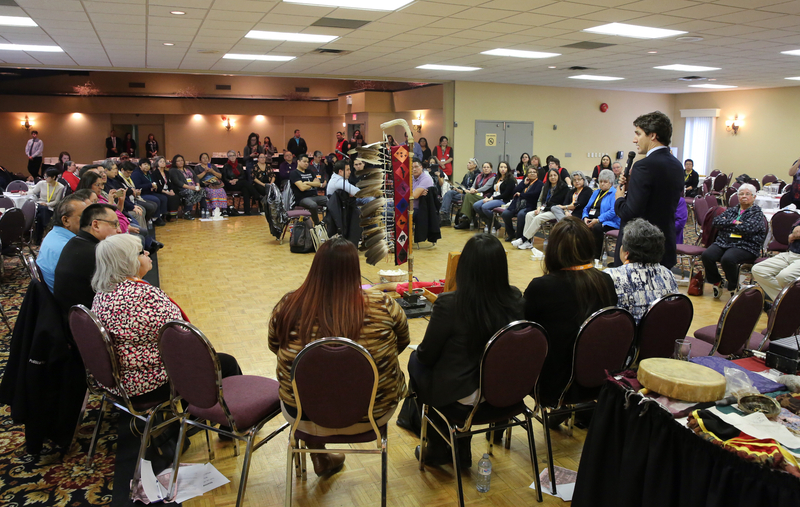 Political leaders from First Nations across Ontario have joined together to begin their own inquiry into missing and murdered Indigenous women at a three-day gathering in Thunder Bay this week. The gathering will bring together 15 First Nations families who have experienced a loss with leaders from First Nations communities and political organizations. Families will have the opportunity to provide advice and feedback on the direction of a First-Nations led inquiry and that feedback will flow up into a national roundtable scheduled for later this month. Indigenous women were nearly three times more likely than non-Indigenous women to report being a victim of a violent crime. Indigenous women are four times more likely to be murdered than non-Indigenous women. It is estimated that more than 1,100 Indigenous women have been murdered or gone missing since 1980. AIAI is mandated as a Provincial Territorial Organization (PTO) to defend and enhance the Aboriginal and Treaty rights of our seven member First Nations. Our member nations include: Batchewana First Nation, Caldwell First Nation, Delaware Nation, Hiawatha First Nation, Mohawks of the Bay of Quinte, Oneida Nation of the Thames, and the Wahta Mohawks. Learn more atwww.aiai.on.ca, on Twitter@AIAI_comms and on Facebook.